The Return of Pop Up Flea London. | A Continuous Lean. The Return of Pop Up Flea London. 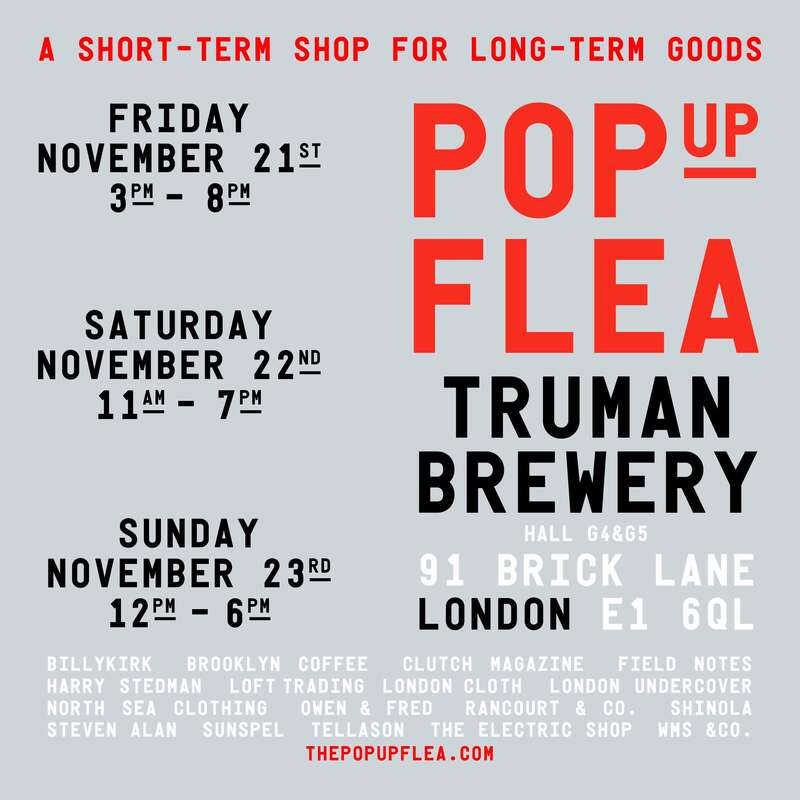 We’re setting our clocks to GMT this weekend as we head across the Atlantic for the second edition of The Pop Up Flea London. Joining us in the UK will be the PUF veterans and esteemed American brands Tellason, Billykirk, Rancourt & Co., and Shinola, as well as some fresh local faces including Sunspel, Harry Stedman, Loft Trading, and London Cloth. It’s all going down at the historic Truman Brewery in East London this weekend only. Don’t miss your chance to shop a short term shop of superb British and American goodness.